On 17 July 1897, word spread like wildfire through the streets of Seattle over the cargo in the hold of the S.S. Portland. 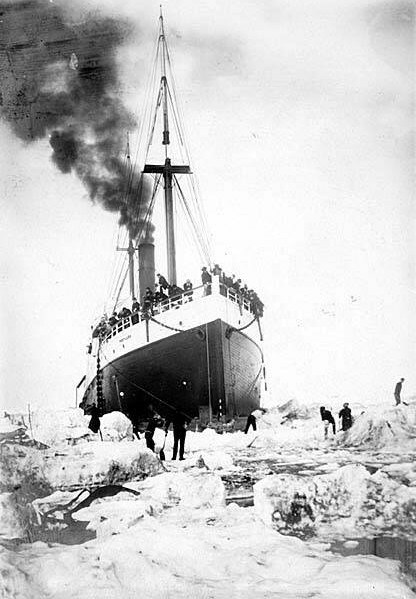 The S.S. Excelsior had already docked in San Francisco, bringing news from the Yukon. “A ton of gold!” The arrival of the S.S. Portland was about to cause a mad rush to the Klondike. 68 miners and over a ton of gold had boarded the Portland in St Michael, Alaska. Fresh from the Klondike in Canada’s Yukon Territory, the gold was packed in anything the miners could find: coffee cans, socks, sacks, and boxes. Anything that could get the gold dust to Seattle. The estimates were off: The Portland carried two tons of gold in her hold that day. At the time, the country was in a recession. Over 5000 people were waiting for the Portland at the dock, when she arrived. The streets were so crowded, the streetcars had to stop running. Reporters, longshoremen and others immediately quit their jobs and booked passage to Alaska. The mayor of Seattle was in San Francisco at the time; he wired his resignation via telegraph, and hopped on the first steamer heading north towards the Klondike. Seattle merchants sold out of mining gear and equipment within hours of the Portland’s arrival. 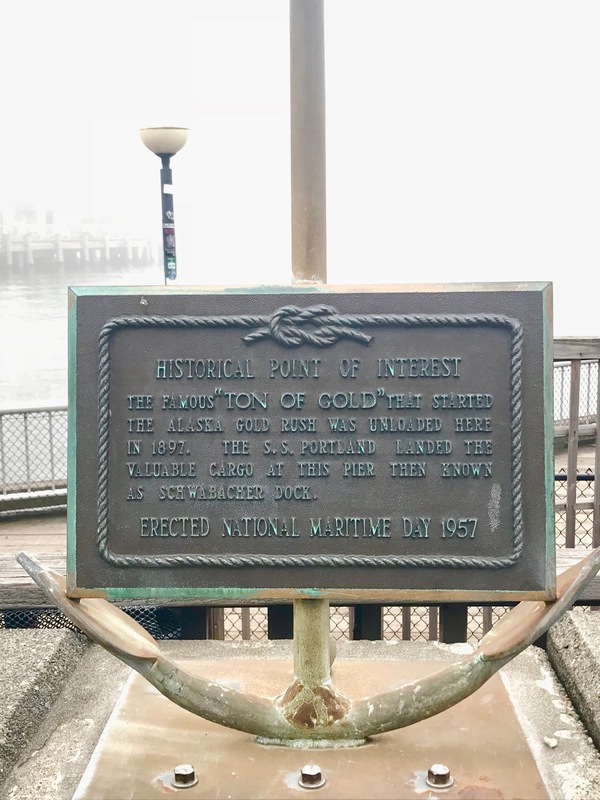 Today, there is a historical marker near the place where the S.S. Portland docked. The plaque is located between Piers 57 and 59, along the sidewalk that runs beside the road, Alaskan Way. The plaque is mounted on an anchor, and looks down on the boardwalk that runs along the water. 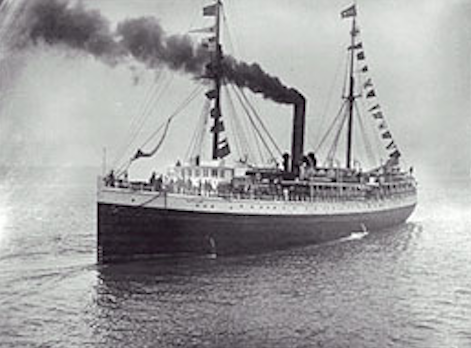 The S.S. Portland served between 1885 and 1910. 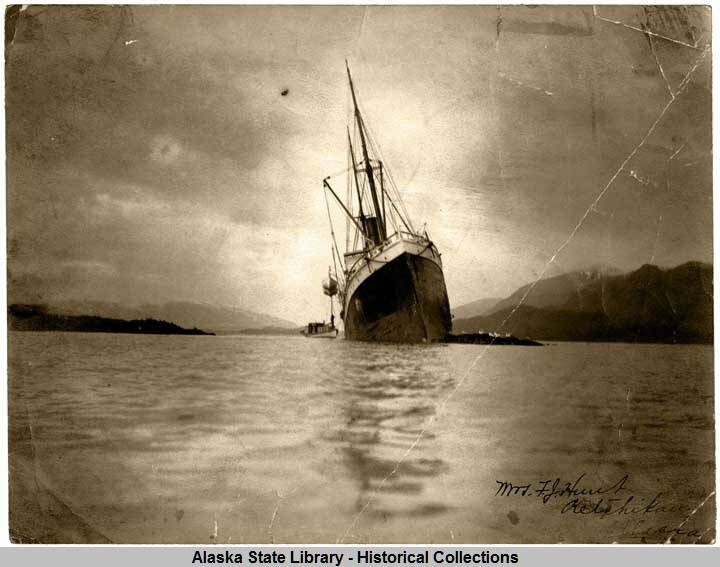 The above picture shows the Portland in the Bering Sea in 1901. Seamen are out cutting the ice in front of the ship. The Portland spent much of its life going from the west coast of the United States to the Alaska Territory. In 1910, the ship was caught on a shoal in rough seas. The waves pounded the old vessel, smashing her to pieces. The S.S. Portland remains at the mouth of the Katalla River. The ship was the subject of an episode of the PBS show History Detectives in 2004: Series 2, episode 9.